August Alice Reports: It's Endorsements Season! Co-Chair Column: It's Endorsements Season! 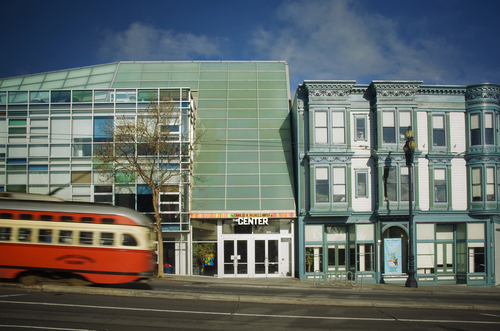 Please join Alice for Transit Talk, an Alice discussion of some of the big issues in San Francisco transportation. Whether you drive, bike, take MUNI--or any combination thereof--you need to know how this fall's ballot has everything to do with City transportation policy. Hear from three distinct points of view: Bicycle Coalition, Restore Transportation Balance, and Supervisor Scott Wiener. Lots to discuss and questions to ask about getting around town. Come Join Us! August is endorsement season. Alice will be holding our membership vote on our fall election endorsements at 6:30 PM, August 18th at the LGBT Center. Please come and have your vote counted! 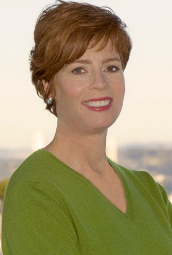 We are excited that an Alice board member is running for citywide office this fall. Our very own Mark Murphy has been pounding the pavement getting his 1,000 signatures to successfully get on the ballot for the SF Board of Education race. Mark will be a strong candidate and powerful voice for the LGBT community and advocate for our city's families. At the state level, the most hotly contested office in the June primary was (of all things) Controller. Not the sexiest job in the world, but critically important as they serve as the Chief Fiscal Officer of California, make sure the State’s $100 billion budget is spent properly, help administer two of the nation's largest public pension funds, and serve on 81 State boards and commissions. The top two candidates from the June primary get to advance to the general election this fall. The race for that coveted second place spot dragged on for weeks after the election, as the absentee and provisional ballots were counted and Democrats John Perez and Betty Yee were neck and neck. In the end, our local shero and Alice endorsed candidate, Betty Yee, eked out the victory by the closest of margins – 481 votes out of 4 million votes, or by one one hundredth of one percent! This contest goes to prove what we say every election: EVERY VOTE COUNTS! Betty Yee now takes on Republican Fresno Mayor Ashley Swearengin this November. Go Betty, go! Once the Alice B. Toklas club makes our endorsements for the fall election, our field campaign begins. You will begin to see us out in our purple tee-shirts registering voters and handing out our Alice slate cards, beginning with the Castro Street fair in early October. We will also be advertising in multiple media outlets so keep your eyes peeled for the Alice logo. This is another reason why the Alice endorsement is so highly coveted by candidates and ballot measures – we work hard for our endorsees and get the word out. It is an honor to work with such extraordinary people. Enjoy your summer and please, come out on August 13th and vote in our endorsement process. We are only as strong as our membership and we need to hear your voice! 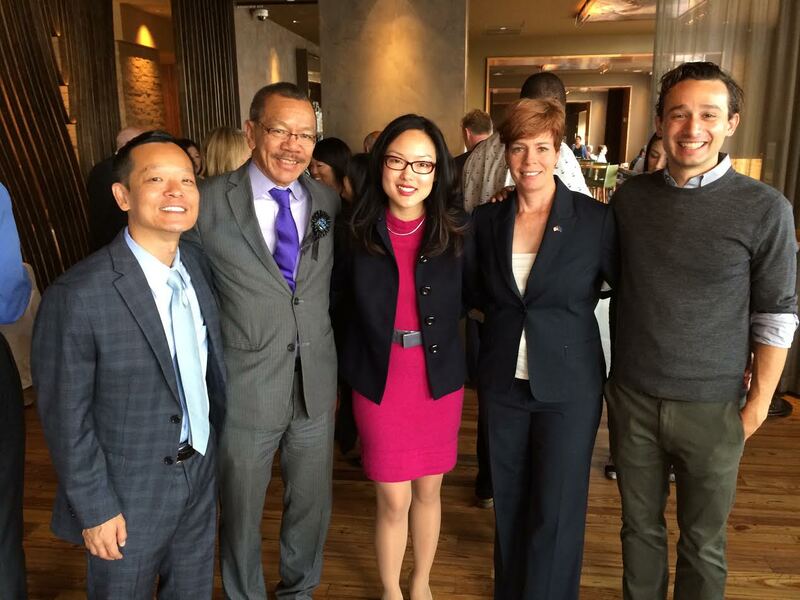 Alice board members Myong Leigh, John Baldo and Zoe Dunning join Supervisors Jane Kim and Norman Yee at a breakfast event to support the Children's Fund Initiative at Americano restaurant Hotel Vitale July 30, 2014.